I don't know about you, but I’m already feeling my winter extra-five-pounds-for-warmth settling in. (What can I say, I live in the Land Of Pasta.) So I’m craving something green and healthy to eat that’s also fast and delicious. 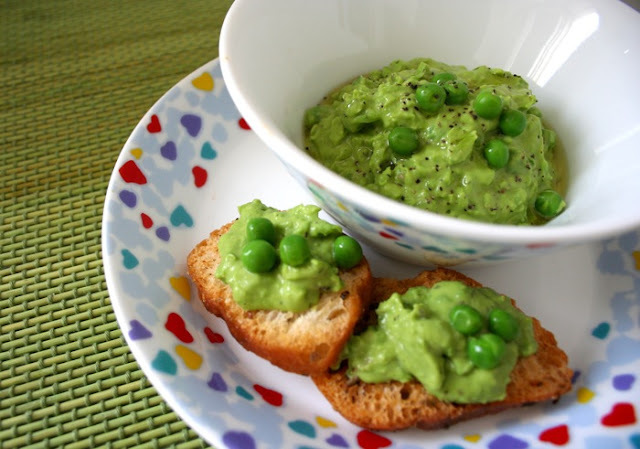 Enter, frozen pea hummus! I admit it, I'm kind of a pea freak. (I eat this all the time) I just love their sweetness and the fact that you can jazz them up any way you like with lots of lemon juice, or fresh mint or chili powder or sage; the possibilities abound. And there’s no limit to how you can eat the hummus too: on bruschetta, mixed in with pasta, as a dip for veggies, spooned on top of fish, as a side dish, or even for a snack. 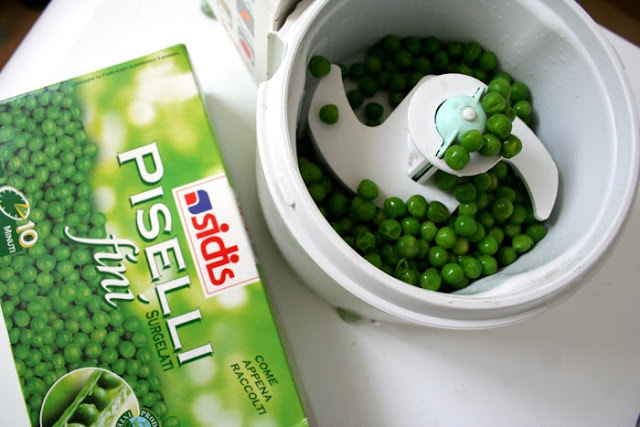 Thaw a pound bag of frozen baby peas, setting aside some for the garnish. Place peas in food processor with 1/4 cup of olive oil, 1 minced garlic clove, (optional) and 2 tablespoons of lemon juice; process until smooth. 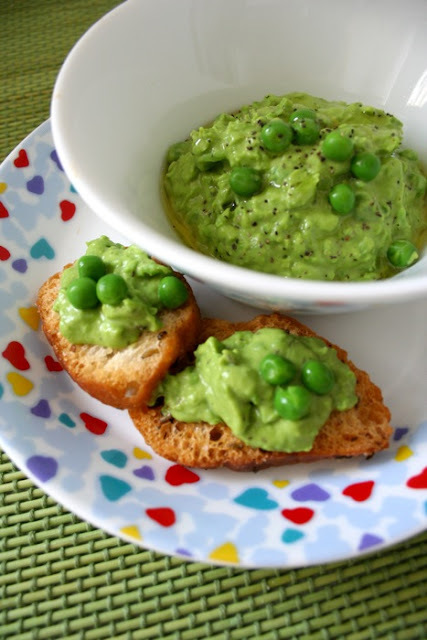 Sprinkle with remaining whole peas, drizzle with more olive oil, and serve. Buon appetito!